This may be another example of what I have referred to as Epictetus’ “anti-intellectualism,” though the phrase is probably a bit too strong. 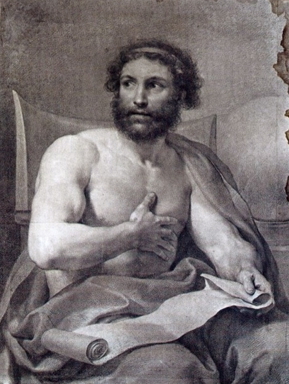 A different way to look at it is to say that Epictetus here is partially conceding the skeptical argument (but only about knowledge of the natural world), or that more properly he simply wants to focus on the hallmark of Stoicism: knowledge is good when it contributes to our understanding of how to live our life. This is one the clearest expressions of the Stoic discipline of assent, or what is nowadays referred to as Stoic mindfulness. A really charming example of Epictetus’ use of metaphors and similes. Just lovely. Which is one of many analogies in the writing of Epictetus (and the Stoics more generally) between physical and mental/spiritual condition. This entry was posted in Epictetus on May 21, 2015 by Massimo. Epithets’ remark seems to be the opposite of the Stoic view that everything is connected and so physics matters to theory which is really practice?? ?